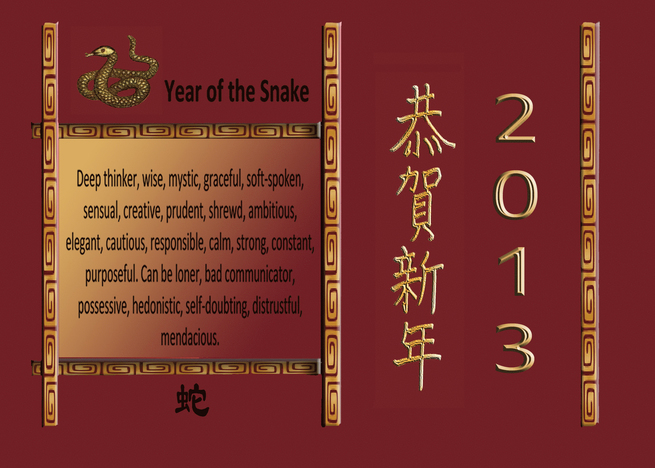 Wishing all my beloved readers,friends and family a very Happy Lunar Snake New Year or Gong Xi Fa Cai 2013!! 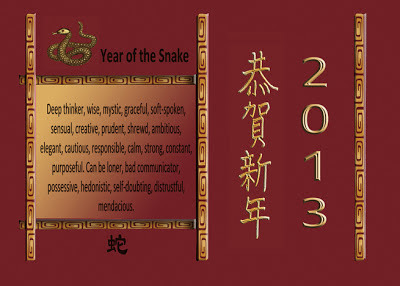 蛇年吉祥！May this coming snake year will brings you and family prosperity,great luck,happiness,peace and good health! !